Stores are racing each other to automate, and job losses are likely the next step. VANCOUVER — Retailers are racing to adopt new technologies, like the self-scanner Walmart has rolled out in 22 Canadian stores, to stay competitive in a challenging industry. But experts say the trend toward automation threatens more jobs in a sector that is already slashing head counts. Walmart expanded technology that allows shoppers to choose to carry a scanner that tallies up their purchases to 20 stores in B.C., Alberta and Ontario on Monday. Shoppers at those stores only need to stop by a self-checkout kiosk or visit a cashier to pay their bill. The company expects to continue adding the scanners to more of its Canadian stores. Eventually, it may abandon the handheld scanners in favour of a smartphone app shoppers south of the border use. While companies promise the trend toward automation won't cost workers their jobs, experts say the long-term outlook for salespeople and cashiers is bleak. "I think any large company these days that's making significant investments in technology is doing that with an eye towards reducing costs and increasing service efficiency," said Sunil Johal, policy director at The Mowat Centre at the University of Toronto. "They're not going to do that ... if they don't also make reductions in their workforce," said Johal, who co-authored a 2016 report on Canada's social policy in the new age of work. 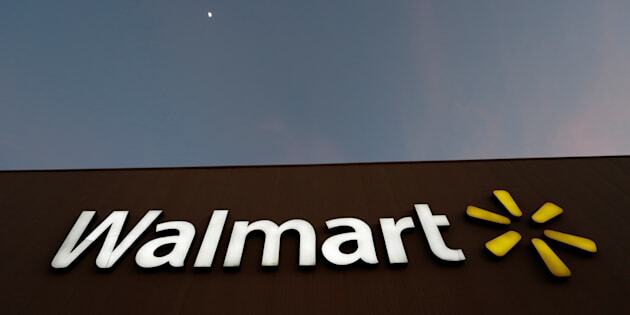 Walmart maintains the company's objective is not to covertly kill jobs. The big-box retailer wants to help customers budget and offer a convenient checkout option, spokesman Alex Roberton wrote in an email. "To be clear this is not an initiative designed to reduce labour," he said. "We needed cashiers yesterday, we need them today and we will need them tomorrow." In the short-term, that may be true, Johal said, as shoppers need time to learn and adjust to new technology. When McDonald's Canada announced it would add self-service kiosks to restaurants in 2015, the fast-food chain said it would also create 15,000 new jobs as it hired employees to greet customers and help diners navigate the new system. But in the medium- to long-term that outlook will change, Johal said, as there's no question companies are adopting technology to benefit their bottom line. "I'd be shocked if a year from now or two years from now these types of moves to automation don't lead to cuts," he said, explaining that could mean a reduction in the number of employees or the number of hours they work. Retail salespeople and cashiers are among the top five jobs most at risk from automation, according to a June 2016 report by The Brookfield Institute for Innovation and Entrepreneurship. About 42 per cent of Canada's labour force is at risk of being affected by automation over the next 10 to 20 years, the report found, including 656,000 retail salesperson and 309,000 cashier jobs. Retail is one of North America's most competitive industries, said Sean Mullin, the institute's executive director, and global tech titan Amazon is leading a push for companies to increase the technology components of their business. Amazon, which recently acquired grocery chain Whole Foods, opened a checkout-free grocery store in Seattle last year. Customers never see a cashier or visit a self-checkout kiosk. Their Amazon account is charged when they leave. "So everyone, I think, is very scared ... that if they don't get into this game and start to use automation and technology as an increasing part of their business, they will not be competitive in the future and effectively will be forced out of business," Mullin said. Canadian companies operating in Alberta and Ontario face additional pressure from impending minimum wage hikes, said Johal. On Jan. 1, Ontario's minimum wage jumps from $11.60 an hour to $14. It will increase another dollar the following year. Meanwhile, in Alberta, the minimum wage for most employees will rise from $13.60 to $15 per hour next Oct. 1. "The natural next step for many of these stores is to look at technological solutions which might make it possible for them to reduce their wage bill," Johal said. With automation, companies in the cost-competitive industry can gain an advantage by making themselves cheaper and passing those savings on to customers, Mullin said. While cashiers and salespeople roles may be on the chopping block, he said, technology historically creates more jobs than it eliminates. Granted, he added, the new work tends to require highly skilled workers, who are more difficult to replace with robots.